Home ABS-CBN STATION ID ALL ABOUT MEN CHRISTMAS ERIK SANTOS IÑIGO PASCUAL PIOLO PASCUAL SAM MILBY TELEVISION VIRAL Piolo Pascual and son Iñigo in viral "kissing photo"
Piolo Pascual and son Iñigo in viral "kissing photo"
Piolo Pascual isn't new to being a star of viral photos and videos. He's been part of so many in the past, and mostly were fake. Remember that fake photo of him and Sam Milby holding hands? That's one example. There was also this "ala-Brokeback Mountain" picture with Erik Santos. And now, another photo of him is going viral online. But this one is so real. In the said photo, Piolo appears to be kissing another guy passionately, which apparently has tempted many netizens to put malice on and question his sexuality all over again, when in fact, the guy in the picture is no less than his own son, Iñigo Pascual. The photo actually started here on this blog, a screenshot I took from the ABS-CBN Christmas Station ID for 2014 which was released last Thursday. 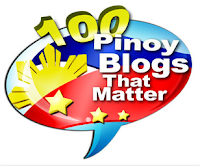 I clearly stated in my blog post that it's Piolo and Iñigo. And the screenshot photo eventually made its way to social media sites, as some netizens quickly jumped into conclusions, believing Piolo did something scandalous and that is kissing another man, without taking time to know the real story behind the picture. It's funny how some people particularly took notice of Piolo holding the back of the neck as he kissed the other guy, who happens to be his son Iñigo, on his cheek so close to his lips. Without knowing who Piolo was kissing in the picture, many netizens were led to believe that it's another gay thing involving Piolo, when in fact, it was just he and son Iñigo in one touching father and son moment, as shown in the Station ID. Don't mind those malicious reactions. Let's just all admire the very close relationship Piolo and Iñigo have for each other. 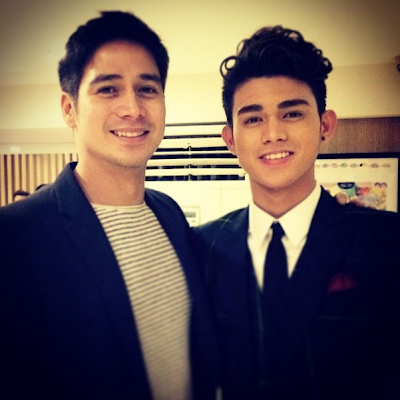 piolo_pascual: "Seeing your son achieve his dream and become his own person is every father's dream.. Watching his movie last night was a treat... As much as I'd like to invite you all to watch, I won't hard sell.. All I can say is that I'm proud to be @iminigopascual 's father.. Thanks for insisting on doing the movie pugeh.. It's all worth it:) Congrats my son:)"